Motorway-sized troughs and channels carved into Antarctica’s continental shelves by glaciers thousands of years ago could help scientists to predict future sea-level rise according to a report in the journal Geology this month (May). 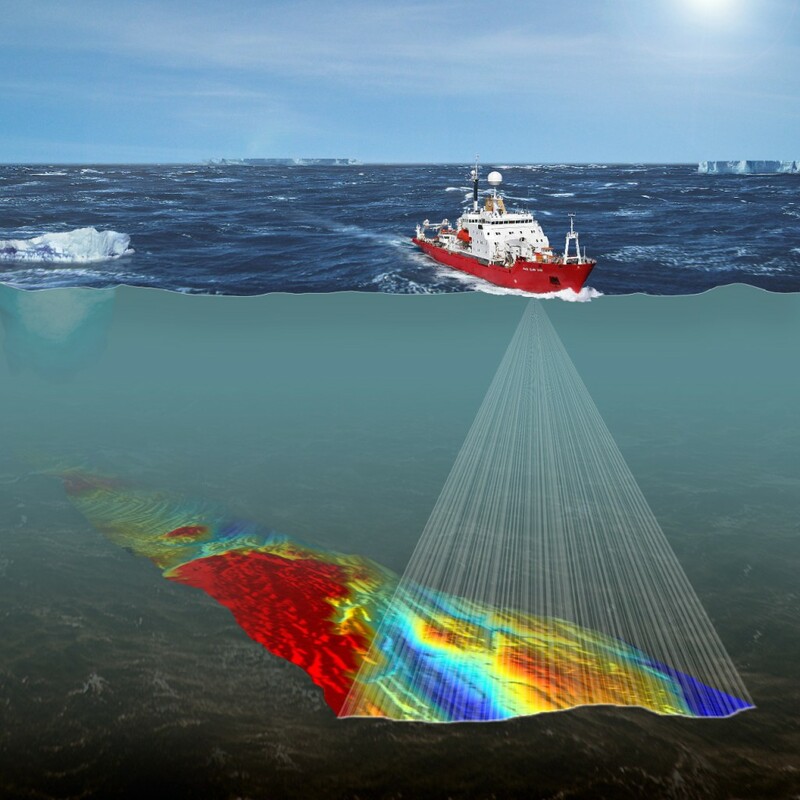 Using sonar technology from onboard ships, scientists from British Antarctic Survey (BAS) and the German Alfred Wegener Institute (AWI) captured the most extensive, continuous set of images of the seafloor around the Amundsen Sea embayment ever taken. This region is a major drain point of the West Antarctic Ice Sheet (WAIS) and considered by some scientists to be the most likely site for the initiation of major ice sheet collapse. The sonar images reveal an ‘imprint’ of the Antarctic ice sheet as it was at the end of the last ice age around 10 thousand years ago. The extent of ice covering the continent was much larger than it is today. The seabed troughs and channels that are now exposed provide new clues about the speed and flow of the ice sheet. They indicate that the controlling mechanisms that move ice towards the coast and into the sea are more complex than previously thought. 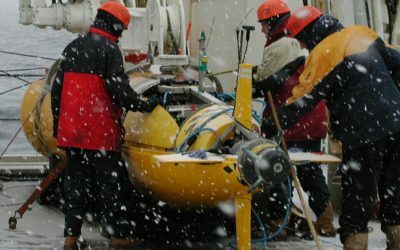 For the past 20 years scientists studying the Greenland and Antarctic ice sheets have used a range of technologies, including satellite images, ice-penetrating radar and other techniques to monitor the movement of ice as it flows from Antarctica’s interior towards the coast. Science teams often work in remote and extreme locations to measure change in their attempts to understand their likely contribution to global sea-level rise. 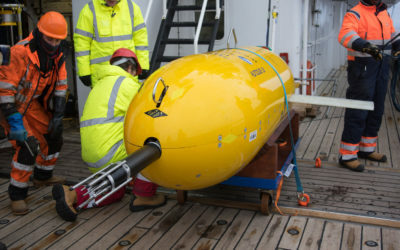 This work is the result of a collaboration between scientists onboard two research cruises in 2006 — Jan–Feb BAS ship RRS James Clark Ross; Feb–Mar onboard AWI ship RV Polarstern. Ship-borne research cruises provide crucial information about Antarctica’s ice sheet and climate history. This data combined with that from other satellite and ground-based studies help provide answers to big environmental questions that are relevant to people all over the world. In the western Amundsen Sea embayment three 17–39 km wide troughs extend seaward from the modern ice shelf front. This is roughly with width of the English Channel. Individual streamlined features carved into the seabed are about as wide as a motorway. The Antarctic ice sheet retreated to near its present limit around 10 thousand years ago. It is the layer of ice up to 5000 m thick covering the Antarctic continent. It is formed from snow falling in the interior of the Antarctic which compacts into ice. The ice sheet slowly moves towards the coast, eventually breaking away as icebergs which gradually melt into the sea. The ice sheet covering East Antarctica is very stable, because it lies on rock that is above sea level and is thought unlikely to collapse. The West Antarctic is less stable, because it sits on rock below sea level. An ice shelf is a thick (100–1000 m), floating platform of ice that forms where a glacier or ice sheet flows down to a coastline and onto the ocean surface. Ice shelves are found in Antarctica, Greenland and Canada only. Just as rivers collect water and allow it to flow downhill a glacier is actually a ‘river’ of ice. A glacier flows much more slowly than river. Rivers of ice within ice sheets account for most of the drainage into the oceans. The relatively shallow (generally up to 200 metres) seabed surrounding a continent where the depth gradually increases before it plunges into the deep ocean. Around Antarctica the continental shelf is up to 1600m deep as a result of millions of years of glacial erosion. The deepest parts of the Antarctic continental shelf are near the present ice margin and depths generally decrease offshore. The Cambridge-based British Antarctic Survey (BAS) is a world leader in research into global environmental issues. With an annual budget of around £45 million, five Antarctic Research Stations, two Royal Research Ships and five aircraft, BAS undertakes an interdisciplinary research programme and plays an active and influential role in Antarctic affairs. BAS has joint research projects with over 40 UK universities and has more than 120 national and international collaborations. It is a component of the Natural Environment Research Council.